There is a time to be angry...but a lot of the time anger can be dangerous! You see Jesus said 'Be angry and sin not.' The words SIN NOT! Anger can drive wedges between you and people that you love. Anger shows its head and causes you to live in regret most of the time. Anger causes you to say things that you normally would never say. So what should we as Christ followers do? 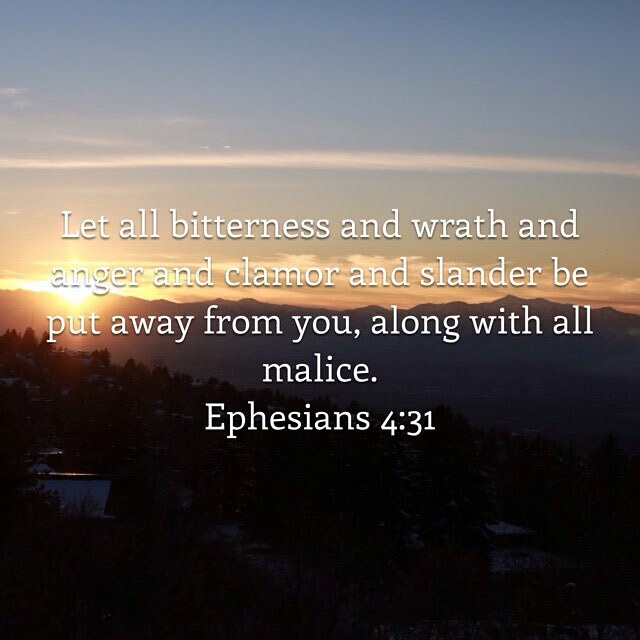 Follow the mandate from the WORD OF GOD: Let all your anger be put away. Why? Before we open our mouths and speak we really need to ask some questions. 1. Is this going to help? Is what I'm about to utter out of my mouth going to bring life or death to someone? Am I honestly going to help this person by the words I'm about to speak? If the answer is no to this...then be quiet! 2. Is this going to glorify God? The word I'm about to speak will it bring glory to God, and further his Kingdom? If you answer no, then, be quiet. 3.Is this going to lead people to want to know Jesus? Are the words I'm about to express to someone going to help them understand the Gospel better? Or am I going to cause someone to stumble? If I'm going to cause someone to stumble I should just keep quiet. Being slow is a good thing sometimes.